Last week, as the kids and I were climbing into the car so that I could drive them to school, Sydney asked me a question to which I responded in a short and irritable tone of voice. This set off a chain of reactions and human behavior that made the car ride, or at least the first 5 minutes of the car ride, very unpleasant for all of us. My snippy attitude hurt Sydney, and out of her hurt she then acted snippy towards her brother which left him hurt, angry, and ready to fight. This (un)lovely display of familial love, while initially triggered by my reaction, actually started the night before. I had had a very bad night’s rest which led to sleeping in an extra thirty minutes which led to having “one of those days” where I was running late, not getting my quiet time in, being the bearer of disappointing news to one of my kids about an event that they would not be able to attend (making me, of course, the unloving mom), and basically barreling my way into the day with little emotional margin. And you know what really gets me is that I knew, as the words were spilling out of my mouth in response to Sydney’s simple and non-threatening question, that my reaction was going to hurt someone and flush the morning right down the toilet. Am I the only one who has created havoc in the home by one bad decision? Am I the only parent out there who has literally caused the the course of the morning to fall apart because I couldn’t restrain my emotions and bad attitude? I doubt it, but stuff like this is not something we share publicly or freely. We are much better image managers than authenticity bearers. I’m not sharing this to try and prove that I am somehow more authentic than the next person; rather, I actually want to discuss (not preach) the ripple effect of shame. It doesn’t really matter what our backgrounds are; everyone of us deals – to some degree, and some people more intensely than others due to family histories, past experiences, etc. – with shame. Shame is that crippling feeling that something is wrong with me, or that I am a bad person. On the morning I mentioned at the beginning of this post, I was feeling bad about myself. I was feeling “less than”, and I was feeling all the ugly feelings of not having my stuff together. I was feeling shame. Out of my shame, I shamed Sydney who shamed Jackson who then jumped on the shame bandwagon and started rolling up his sleeves for a knock-down, drag-out, verbal war. But before he had the chance to say something, he, too, would regret, I shut the shame down. I recognized it for what it was and worked hard to redeem the rest of our car ride. And to be completely transparent here, it wasn’t until after school when I had the chance to talk to Sydney again, that we were back on solid footing relationally. This experience clearly reminded me of the constant challenge we face – day in and day out – to guard our hearts and our mouths from the ripple effect of shame. Not just in parenting, but in every relationship we engage in. Marriage, family, work relationships, can all get gummed up and broken by one act, one word, one sideways look birthed out of shame. And I think it is imperative to get to the root of where the shame is coming from, so that we can cut it off before it has a chance to land in the water and ripple its way out, touching anyone and everyone in its path. Not being an expert, I can only share what I am learning through my own experiences and observations. There are no easy answers for dealing with shame. But one thing that I have learned for certain is that, while shame grows and multiplies in silence, it is squashed with honest transparency. Shame loses its control on our lives when we stop hiding from it. For instance, a better way for me to have handled the morning in this story is if I would have simply admitted to myself, from the moment my day began, that I had overslept and made a mistake. If I had taken the few seconds to admit to myself that I messed up, then gave myself a little bit of grace, and lowered my expectations for the rest of the morning, I might have had more resiliency when everything else began to unravel. Maybe, just maybe, I might have had a sense of humor about the whole thing. Life happens. Sleepless nights happen. It wasn’t the end of the world. And my kids didn’t need to suffer because I was feeling bad about myself. Another thing I have learned is that sometimes shame is thrown at us, not because of something we have done, or a mistake that we have made, but from another person who, in all honesty, is dealing with their own shame issues. When this happens, my natural reaction is to internalize what they have said to me, or how they have treated me, and to some degree take ownership of their junk. This is unhealthy, and it leads to a vicious cycle of passing shame from one person to the next unless someone says, “No.” That “No” becomes an internal barrier around our minds and hearts that does not allow the shameful message to penetrate. Try as they may, the other person may knowingly or unknowingly throw garbage at us, but it won’t land in our mental or emotional yards. Proverbs exhorts us to guard our hearts. Protect our hearts above everything else, because everything we do flows from it. That means ”good” and “bad” can flow from our hearts. From a protected heart, love, forgiveness, patience, a self-controlled tongue, faith, hope, grace and mercy will flow and create a ripple effect of peace, joy, happiness, contentedness and praise. 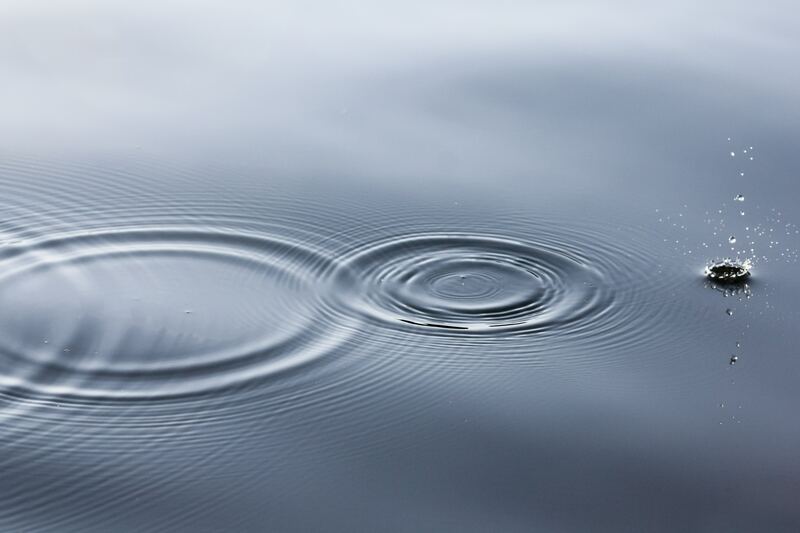 A heart lacking protection is susceptible to any and all messages, ideas, temptations, distortions, and self-centered acts that come its way creating a ripple effect of trouble, heartache, and shame. While there are no easy answers to dealing with actions born out of shame, I do believe that it begins with the heart. It takes more than mind over matter. Changing thought patterns begins with a heart and life hidden in Christ. If we want to see ourselves transform from shame-based responses and behaviors, then we must surrender our hearts to Jesus and allow him to begin the transformation of the heart. Can I ask you a bold and personal question that might make you feel a little uncomfortable and challenge you to be a little bit vulnerable? 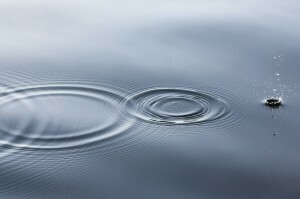 What kind of ripple effect are you creating? This is not about being perfect people and hitting a home run in our relationships every single time we are up to bat. But what it is about is bringing shame out of the shadows and not giving it room in our hearts to fester. Calling it out, sending it on its way, and creating a ripple effect of truth, love, honesty and vulnerability. Shame out of the shadows. I like that and I think you should put that in a logo somewhere. Thank you fir being open and transparent. I’ve been in that same situation, and then walked into church as if I was perfect. That’s usually when the Message is directed straight for my heart, and everyone in my family side eyes me during the sermon.